le chaudron de vulcain – October 15 , 2018. EN. 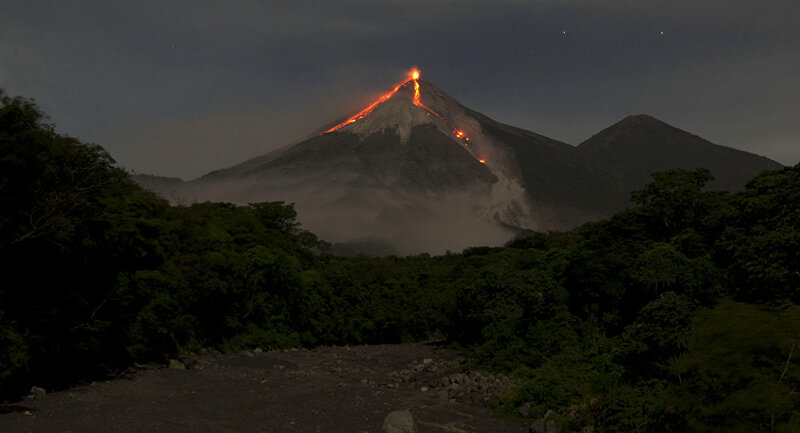 Kamchatka : Ebeko , La Réunion : Piton de la Fournaise , Guatemala : Fuego , Indonesia : Anak Krakatau . Home / blog georges Vitton / October 15 , 2018. EN. 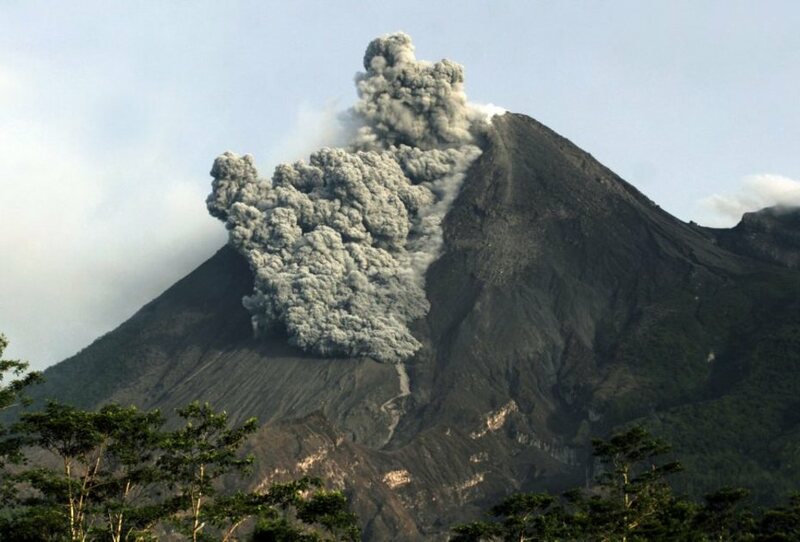 Kamchatka : Ebeko , La Réunion : Piton de la Fournaise , Guatemala : Fuego , Indonesia : Anak Krakatau . Issued: October 15 , 2018. A moderate explosive activity of the volcano continues. Visual data from Severo-Kurilsk showed an explosion sent ash up to 3.5-4 km a.s.l., an ash plume is extending to the east from the volcano. Photo : V. Rashidov, IVS FEB RAS , 10/8/2017 . Activity Bulletin from Sunday, October 14, 2018 at 13:00 (local time). 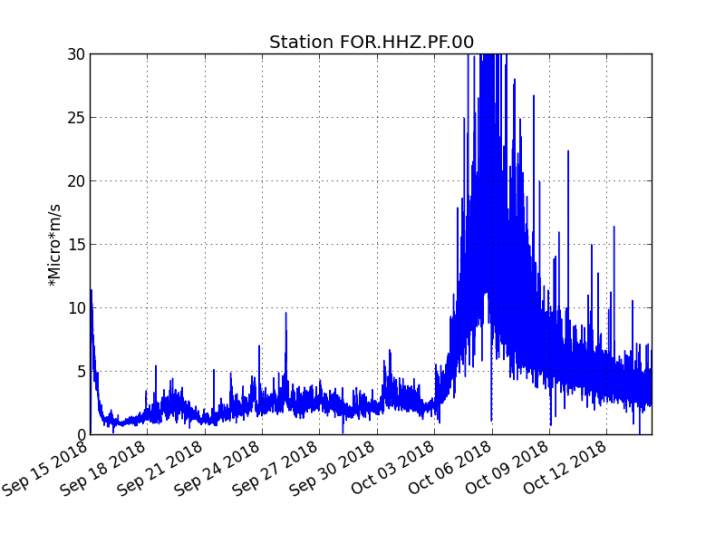 Piston gases (« gas flushes » or « tremor puffs ») at the eruptive site are always recorded by the OVPF seismometers. – No volcano-tectonic earthquake was recorded during the day of 13 October or during the current day. – Field reconnaissance could be done today. Most of the activity is still conducted in lava tunnels, no major channel was observed and only small and rare resurgences were visible. 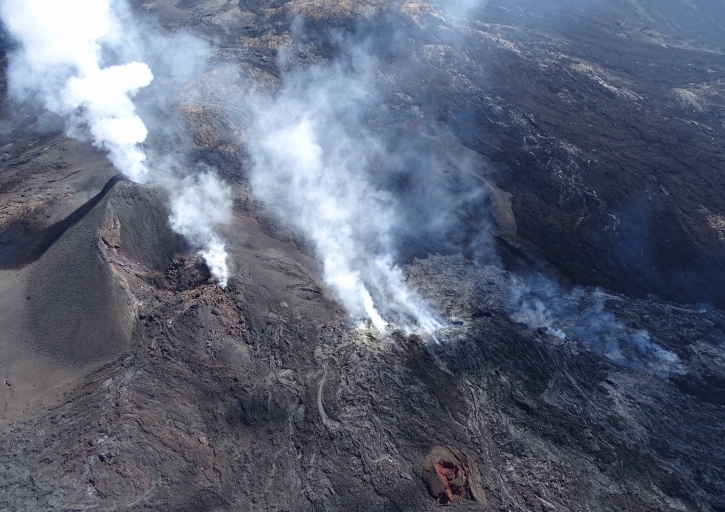 No projections were observed at the eruptive cone and the level of the lava lake inside the vent was relatively low. 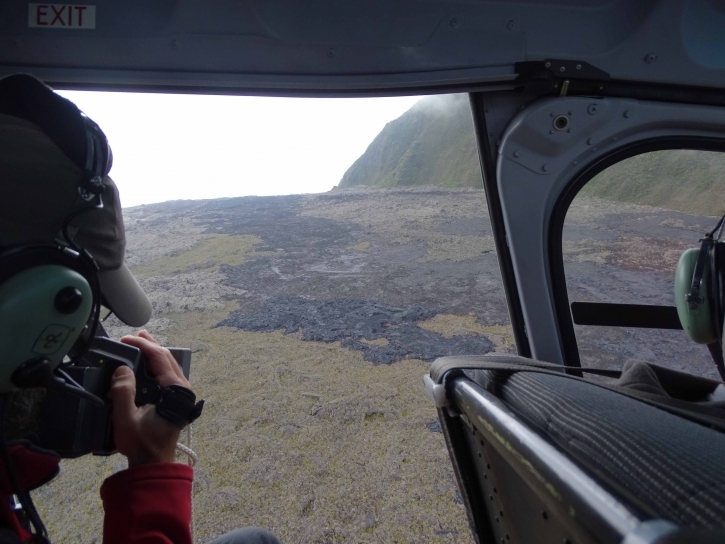 Strong degassing was still present at the vent as well as at the main lava tunnel just downstream (Figure 2). 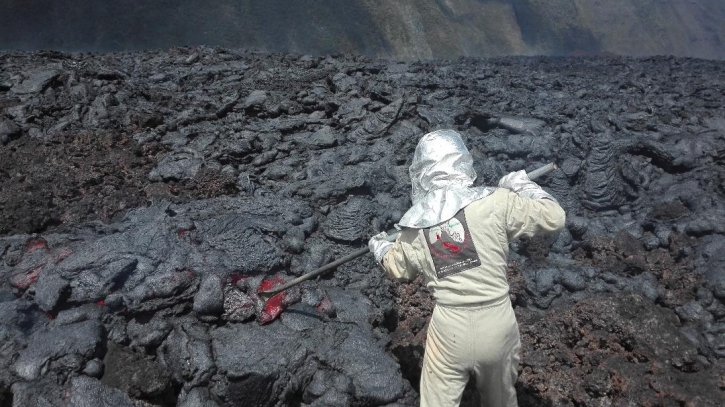 During this reconnaissance, a team from the OVPF was able to take samples of lava from a small active resurgence located about 600m from the flow front (Figure 3). The flow front has not changed since the last sightings and this morning was still 500m from the Grandes Pentes , the latter was completely frozen (Figure 4). Figure 4: Shot of the flow front on October 14, 2018 at 10:45 am local time. (© OVPF / IPGP). Geographical location: 14 ° 28’54˝ N Latitude; 90 ° 52’54˝ Longitude O. 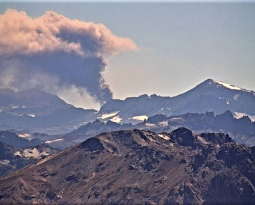 Presence of white fumaroles reaching an approximate height of 4400 m (14435 feet), dispersing in the South, West and Southwest directions. There were 9 to 18 low to moderate explosions per hour, ejecting columns of gray ash at an approximate height of 4600 to 4700 meters (15091 to 15420 feet) and dispersing in a southerly, westerly, and southwestward direction. , over a distance of approximately 8 km to 12 kilometers. Incandescent pulses at an approximate height of between 150 and 200 meters above the crater generate weak avalanches on the crater contour. The remains of the lava flow towards Canyon Seca, on its way, generates weak avalanches. Ash falls are reported in the communities of Sangre de Cristo, Palo Verde, Panimache I and II and others located in this direction. Jakarta – At least 40 volcanic tremors were recorded on active Mount Anak Krakatau located in the Sunda Strait, South Lampung District,Lampung Province, from Saturday evening until early Sunday. 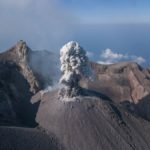 Fresh lava flows were also seen descending the southeastern flank of Anak Krakatau in the evening, according to a statement of the local meteorology, climatology and geophysics office, quoting Windi Cahya Untuk from the Mount Anak Krakatau observation post, Sunday. 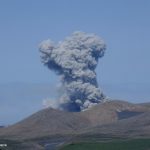 The authorities have declared the volcano is in an alert status and closed to the public within a radius of two kilometers from the mountain`s crater. Level of activity at Level II (WASPADA). G. Krakatau (338 m) has been experiencing an increase in volcanic activity since 18 June 2018. Since yesterday and until this morning, the volcano was visually covered with mist. The weak winds were oriented to the East – Southeast. 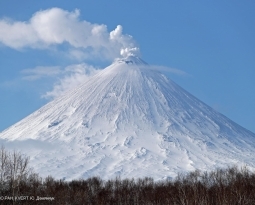 The smoke from the crater was found to be thick gray-white and 50 to 200 m above the summit. 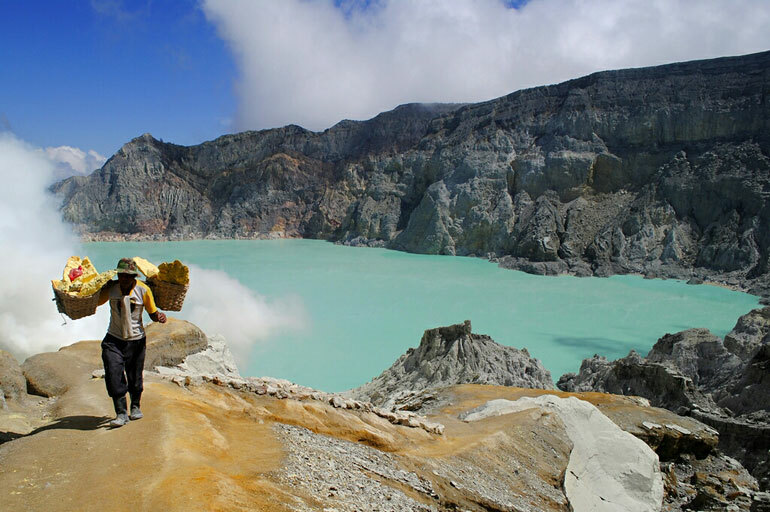 Recommendation: People / tourists are not allowed to approach the crater within 2 km of the crater. 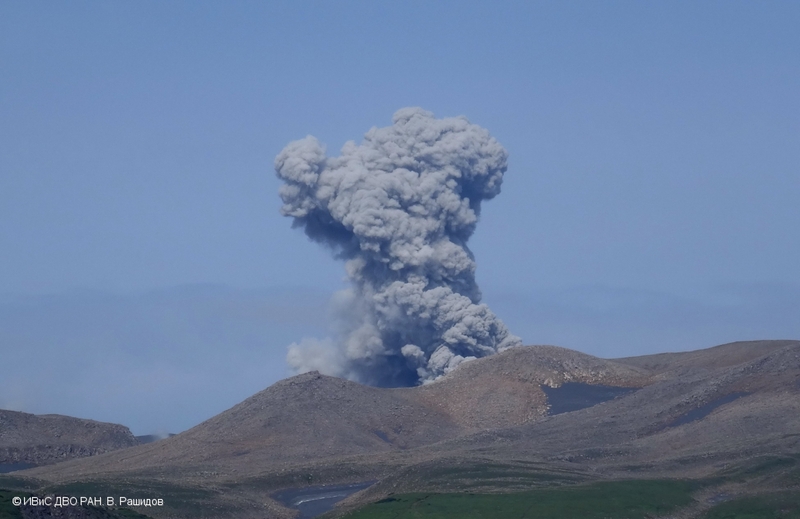 VONA: The latest VONA code was given the ORANGE color code, published on September 22, 2018 at 6:56 am, for an eruption with ash column height of approximately 538 m above sea level or approximately 200 m above the summit. The column of ashes was moving south.